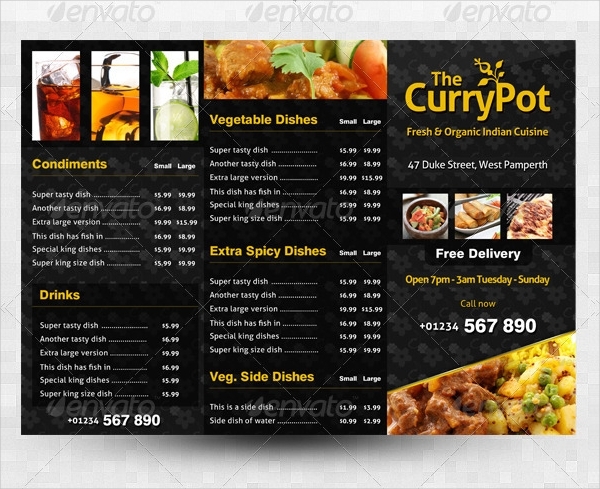 Firstly, what is the difference between a takeout and takeaway menu? According to credible sources, there is no significant difference between the two. They are just dialectal differences. 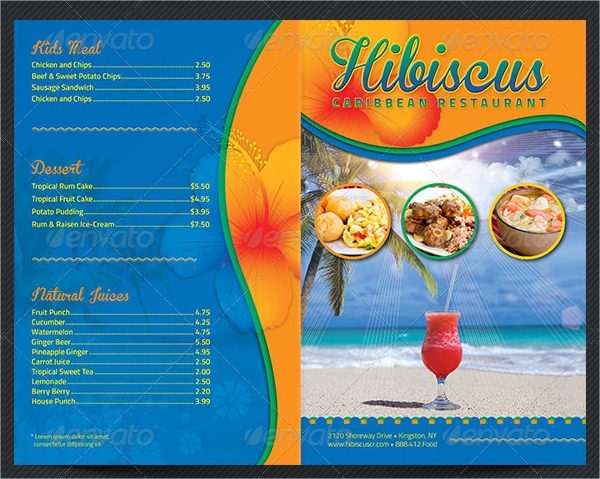 For example, in the USA, Canada, and Philippines, the term commonly used is the takeout menu. On the other hand, takeaway menu is the term used in the UK other than Scotland, Australia, New Zealand, South Africa, Hong Kong, and Ireland. While many other people debated on the use of these words, can we not just settle for one and treat the other term as a synonym? 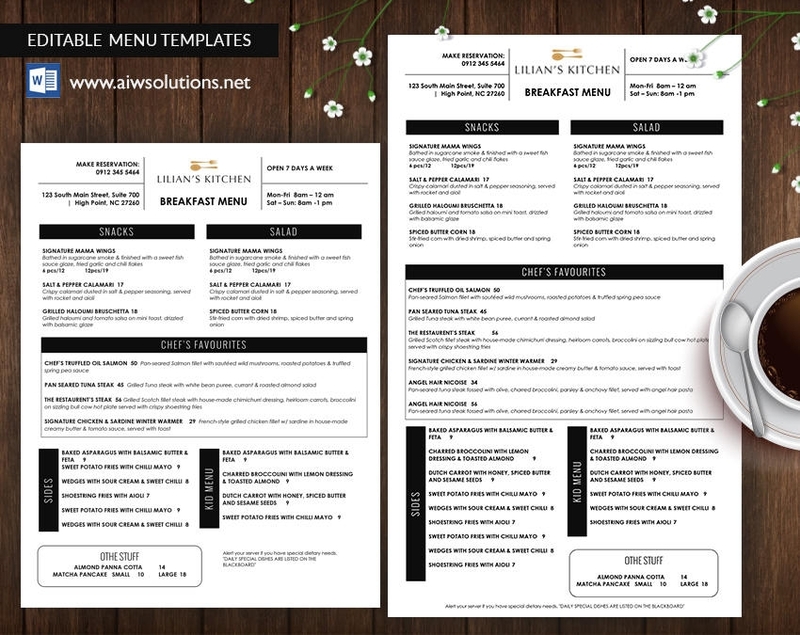 You may also see breakfast menus. Restaurant could not survive without money. It is restaurant’s primary goal to make money and expand the business. Hence, they devise a strategy, through intensive study and research, on how to make people think that they get more than what they are paying and on how can people be entranced on the food that they never bother about checking the price anymore. Fortunately, many researches found several strategies that perfectly answer every restaurant’s goal in increasing profitability. 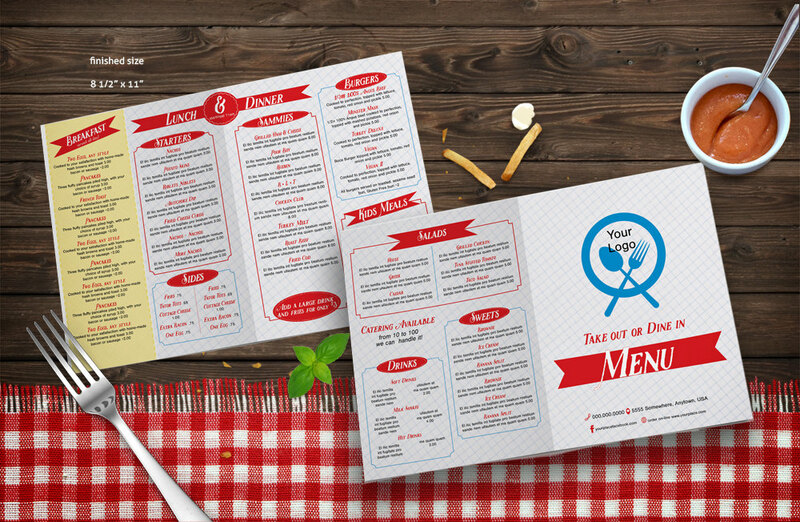 You may also see barbecue menus. 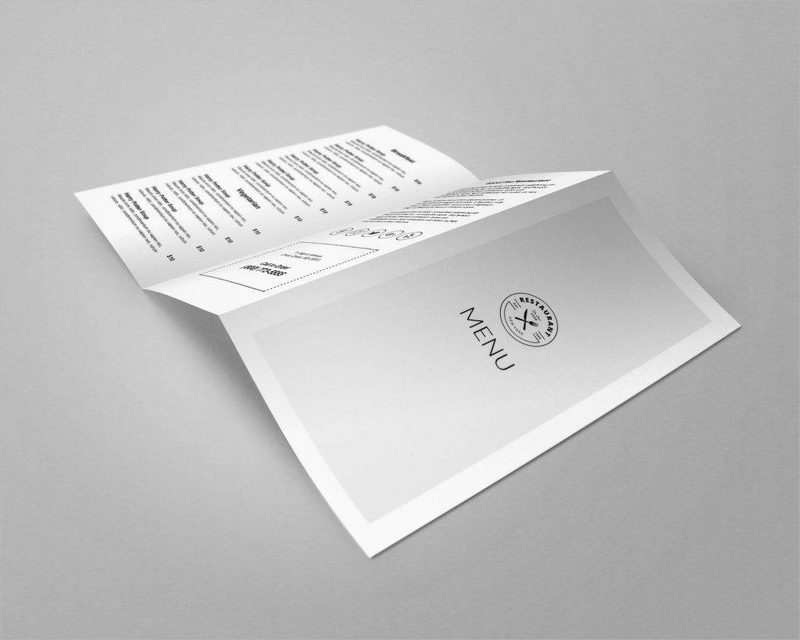 You must place your most sought-after items on the upper right of your menu because it is said to be the area where people’s eyes first caught into. Most restaurants use this advantage since they know that a hungry customer’s eyes will directly gravitate to the upper right portion of the menu. The last thing they check on your menu are the items on the lower left side. Other restaurants utilize this area to place most expensive item on the right so you set a high standard on their prices and use small fonts on cheaper items. In that way, your attention will be drawn to the expensive ones. You may also see italian menus. Relating to the above tactic, the most expensive item that they placed on the right side will serve as a decoy and a standard they set themselves. For example, they place a dish worth $400 on the right side. The item next to it is another dish with an amount of $200, significantly lower than the first one. This makes them think that the second item is the best option because they already have this high standard in their heads. This is why some restaurants unreasonably increase the amount in one of their items to make the other prices appear lower when the expensive item is the basis. 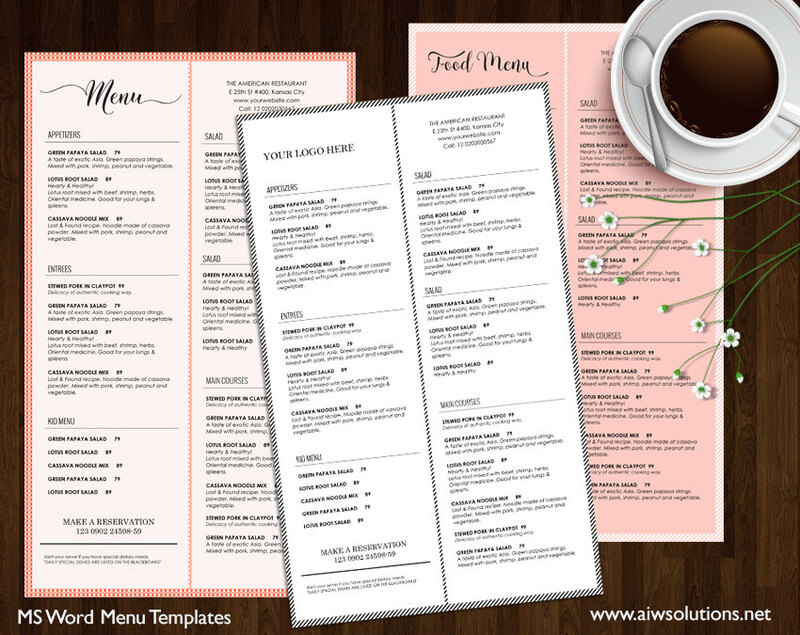 You may also see cafe menus. Most restaurants already know this kind of tactic. They will not include any currency sign in their menu. The reason for this is when monetary units are included, it is most likely that people would think that they will be spending more and they will focus on the prices anymore and not on your menu. To address this, restaurants would just use numbers without any monetary unit. For example, aside from putting “$50,” they just write “50” or 50‒.” It is understandable though that the currency to be used is based on the primary currency your country is using, and that is not questionable. You may also see modern menus. Discounts are what restaurants commonly offer to have an appeal to customers. But there is more to giving discounts that you need not to offer your items for a lower price. How can you have a discount promo without actually giving a discount? Well, here’s the thing. They first post an extremely high price for the item. For example, they introduce a dish worth $300 but with an original price of $100. With the help of a little explanation like “Because it our anniversary, we offer you 50% discount on this dish.” Computing the reduction of the amount, the final price of the dish would be $150 ($300×50%). 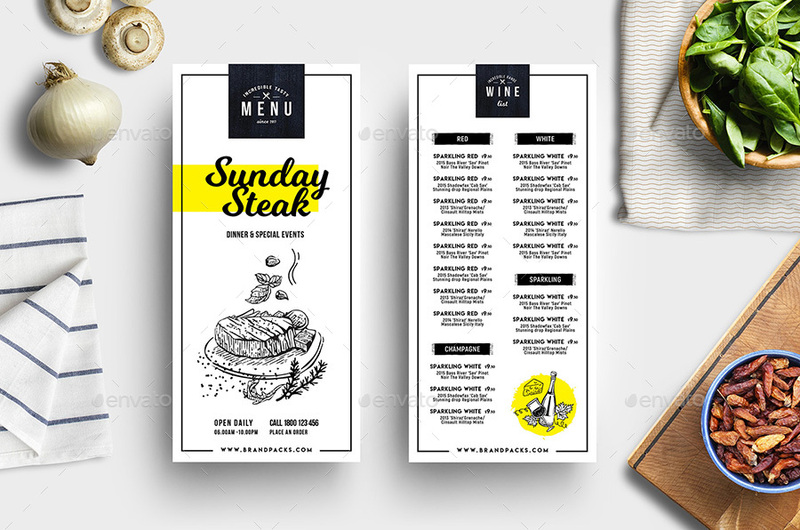 The customer will think he or she received a discount, but in fact, it is just a little trick played by the restaurant’s marketers.You may also see lunch menus. 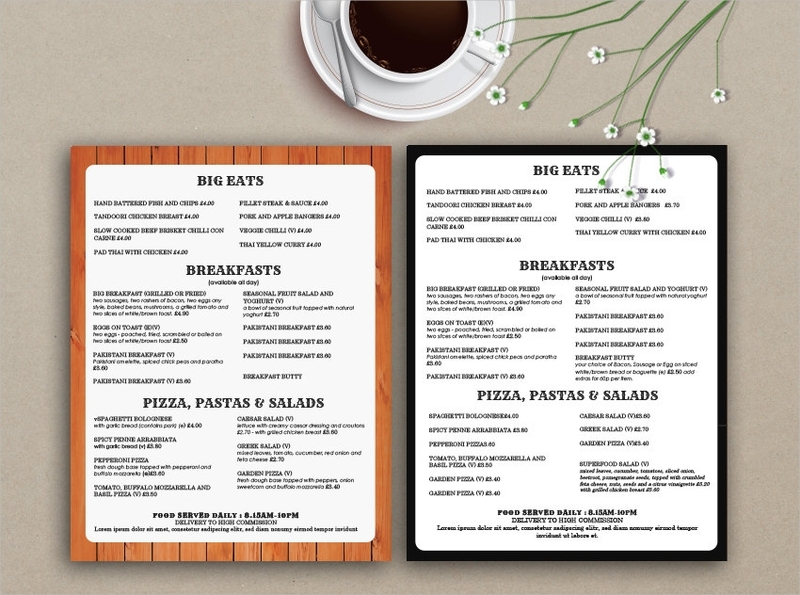 Your menu should not be overcrowded with many options because this will make the customers more anxious. This is based on the “paradox of choice” which states that the more options we have, the more anxiety we feel. This is because the moment the customer leaves, he may feel like he might have made the wrong decision and still wondering what the other options would taste like. He will not feel at ease because of the fact that there are still many options that he needs to consider. So, what is the best number of menu that you must offer? Seven, at most, per food category. For example, your restaurant must present seven main dish, seven appetizers, seven entrees, among others. You may also see food menus. Restaurants use extremely fancy language and adjectives for their menu. 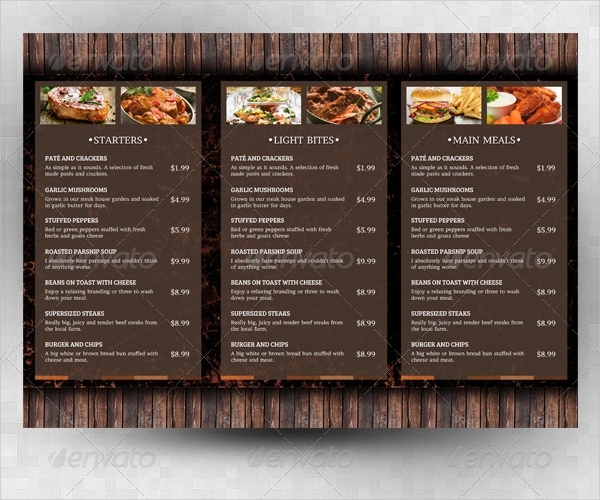 It is believed that a more detailed menu sell more than those that with a simple detail. Additionally, appetizing adjectives written by copy editors and writers must also be incorporated in the description rather than the technical terms that only chefs and culinary students would understand. For example, “satin chocolate pudding” is much more appealing than “chocolate pudding.” It has also been observed that customers rated the former as tasting better than the latter. See how a single word makes a difference? Hence, most restaurants let legit writers who know how to play with words write their restaurant menu instead of veteran chefs who only know the technical terms of such dishes.You may also see wedding menus. This is already a very common strategy to most business entities. As an example, restaurant will turn the price of the meal worth “$20” to “$19.99.” They are leading the customers to think that they spend more than just “$10” but in fact, the amount is much closer to “$20.” And because too many restaurants already use this strategy, some will modify this by changing the amount to a relatively closer amount, for example, “$19.85.” Although this is not much of a profit, your sales will still be greatly affected since people who are searching for a cheaper stuff unconsciously want to buy more when they found a lower price. 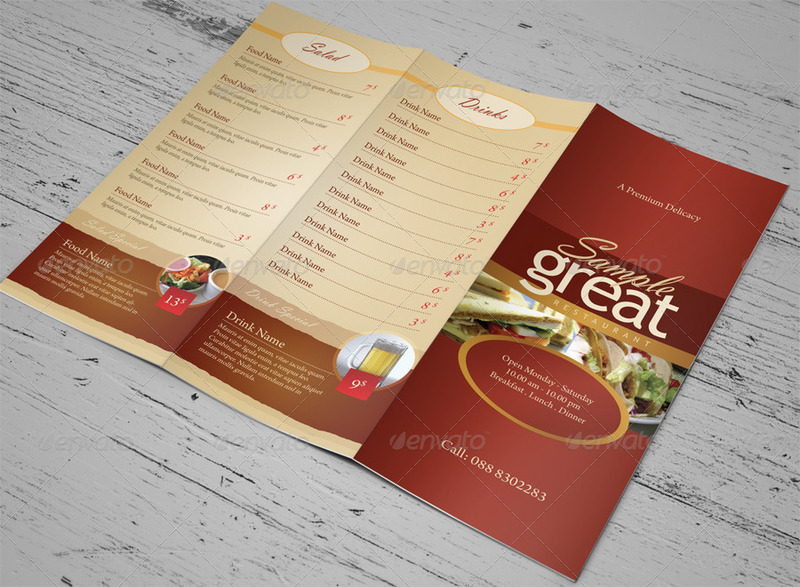 You may also see menu designs. Researches found out that there are certain colors that can boost your appetite and can draw your attention. These colors are red and yellow, respectively. Red color stimulates your appetite and craving for food, while yellow draws in your attention, making them the best food coloring pairing. This is the reason why almost all food restaurants utilize these colors especially in their menu. People tend to buy more from your restaurants since their attention has already been drawn in your food and their cravings are increased. This may be something good to try for persons who wanted to increase their appetite. 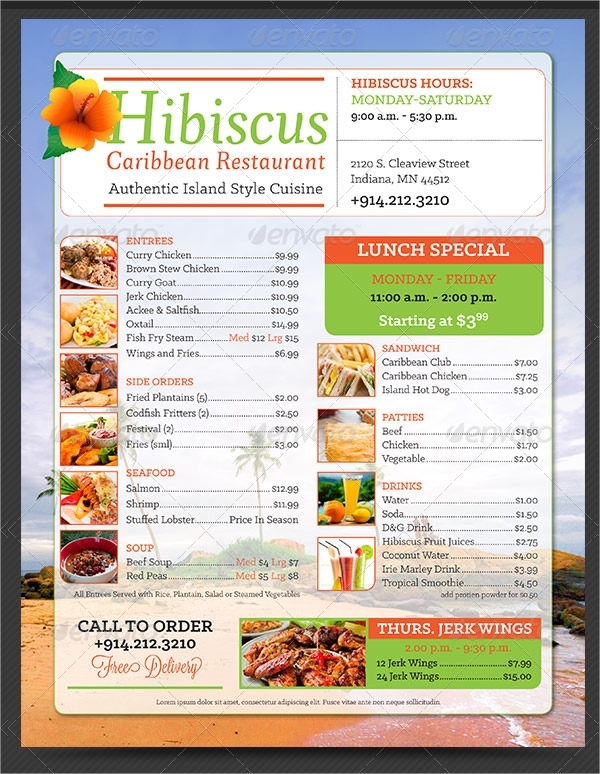 You may also see dinner menus. 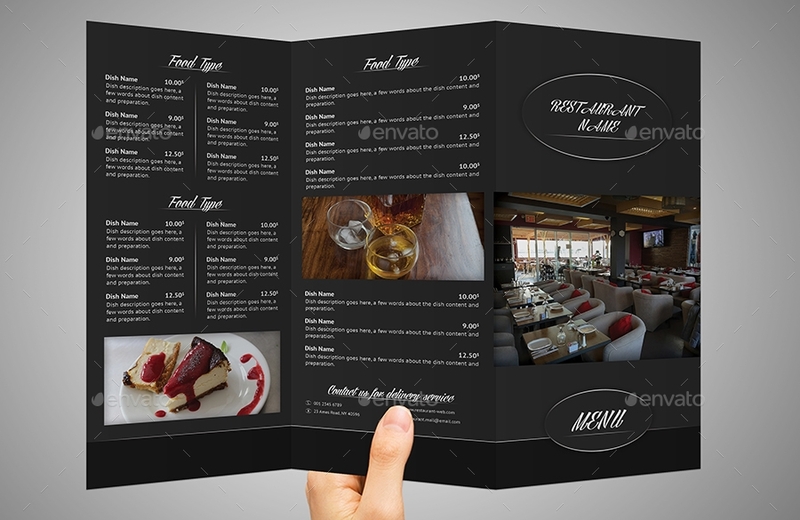 Many restaurants would place their other menus inside a box to make them appear special and a limited offer. People would think that it is some sort of a special item that they must try and must not miss especially when it is their first time going to that restaurant. It becomes more appealing than those that are placed outside the box. It may seem that the items outside are the common and ordinary items while those that are inside the box are the premium ones. Hence, restaurants grab this opportunity to place expensive items inside the box knowing that people are willing to pay for them thinking they are the extraordinary items. You may also see pizza menus. For you, which is more appealing: “hot chicken soup” or “grandma’s hot chicken soup”? Most people prefer the second one as they can feel the nostalgia when they were still young and close to their grandparents. It also gives them a little flashback of their memories with their family, invoking the memories that they wanted to be reminded of. Restaurants use this so that customers would most like choose this dish because of the memory reminding them of their warm childhood. You may also see chinese food menus. Closely similar to the above strategy, they use words to make you think there is more to the dish than what you are expecting. For example, “pasta and beans” would seem ordinary, but when you incorporate ethnic terms like “pasta e fagioli,” the dish becomes more authentic and appetizing. People will get curious on the term itself. Their curiosity will lead them to try the dish. Wondering what “fagioli” means? It is just an Italian term for “beans.” Not much of a thing; Google translate is surely of help. You may also see drink menus. Sometimes, restaurants incorporate popular brand names into their menus. For example, Jack Daniels BBQ sauce is a menu in TGI Fridays, letting people who know the brand name try for the dish. It has also been observed that they enjoyed the dish more and are likely to order more, not just the exact same dish but any other dish that your restaurant is offering. You may also see wine menus. It has been observed by many researches and researchers that the first one on the item is the first one that customers would usually pick. Hence, they use this advantage and organize their menu is such a way that the dish they want to be sold out first are placed in the first item of the menu. Some will even put the most expensive items first to maximize this area advantage. You may also see kids menus. This is among the common techniques used not only by restaurants but also by other stores and business establishments. For example, a whole spaghetti costs $50, while the half serving of the spaghetti costs a little higher than the actual half of the cost of the whole serving, let’s say, $30. People do not actually know the cost and the actual serving size of the dish. Most of the time, the price of the half serving is greatly increased to make the price of the whole serving appear to be a great deal, leading people to think to buy the whole serving. You may also see typography menus. 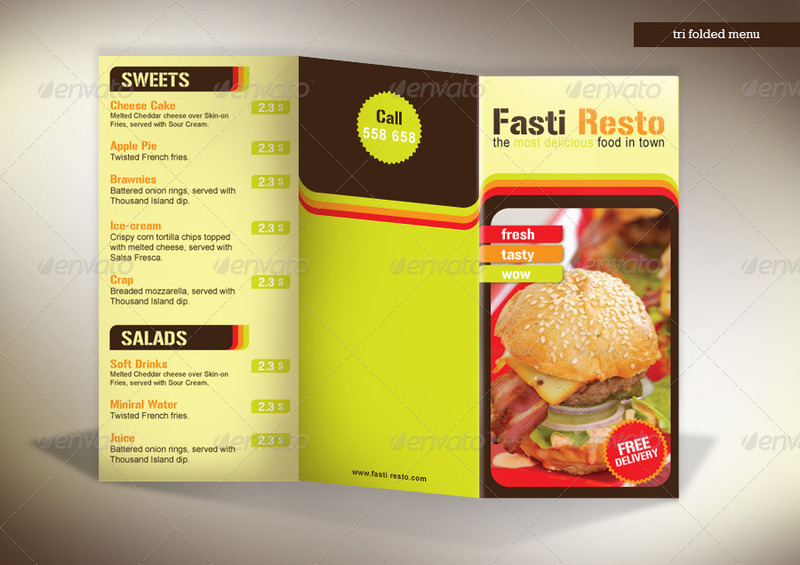 It is part of a restaurant’s marketing strategy to use tricks in their menus as mentioned above. You may think it is deceitful, but that is how it should be so they could maximize profit. They employ such psychological tactics to lead people into buying more than what they expect. Among these are as follows: upper right is king, decoys, no currency sign, limited options, stunning graphics, the use of incredible graphics, number trickery, the use of family titles, ethnic language, and brand names, first-in-show tactic, and concealing the actual serving size. These are found to be successful in increasing the profit of a restaurant. Hence, if you are owning one, you may try adopting these strategies. You may also see cocktail menus. On the other point, now that we made clear that there is no significant difference between takeout menu and takeaway menu, you can interchangeably use them in your daily conversations. And, don’t miss the takeaway (or should I say takeout?) menu presented in the above section. You may also see seafood menus.